How do you prove that you have the personal and professional skills that employers need? How do you remain marketable and relevant after years in the workforce? These are questions most people ask at some point in their lives, and community college is the most affordable and efficient answer. If you’re interested in enhancing your credentials, learning new skills, or switching careers, a community college can help you achieve these goals regardless of your financial status, age, or other personal circumstances. There are more than 1,000 community colleges throughout the U.S. according to the Department of Education¹, and more than 60 percent of them have an open admissions policy that welcomes everyone. Many of these colleges also offer scholarships and financial assistance – and the following are reasons why community college is a uniquely smart investment. According to the National Center for Education Statistics², full-time students paid an average of $26,000 for tuition, fees, and room and board at four-year schools during the 2015-2016 school year. Full-time students at two-year institutions paid an average of $10,432. Tuition prices are slowly rising year by year, but this dramatic price difference remains today. Community colleges are drastically cheaper than four-year institutions. When you eliminate the cost of room and board, community college students who live at home and have a short commute to school will spend even less on their education. The average yearly cost for many community college students is under $5,000 for the 2018-2019 school year, Community College Review³ reports. When you attend a community college, you can also control expenses by taking one or two classes each semester, or you can attend full-time to complete your program faster. Most community colleges also offer online classes, which eliminates the cost of commuting. The biggest payoff comes when you move from a high school to earning your associate degree. Community colleges can help you earn the equivalent of a high school diploma if needed, and then you can work toward your associate degree. Many two-year colleges also offer certificate programs, and many have skills-based courses that will improve your marketable skills without a commitment to a longer program. Every new skill you master gives your resume an edge over your competitors when applying for a job, promotion, or raise. Are you interested in taking that leap to enroll in a bachelor’s program? Your local community college is a great starting point because it allows you to complete the first two years at reduced prices. 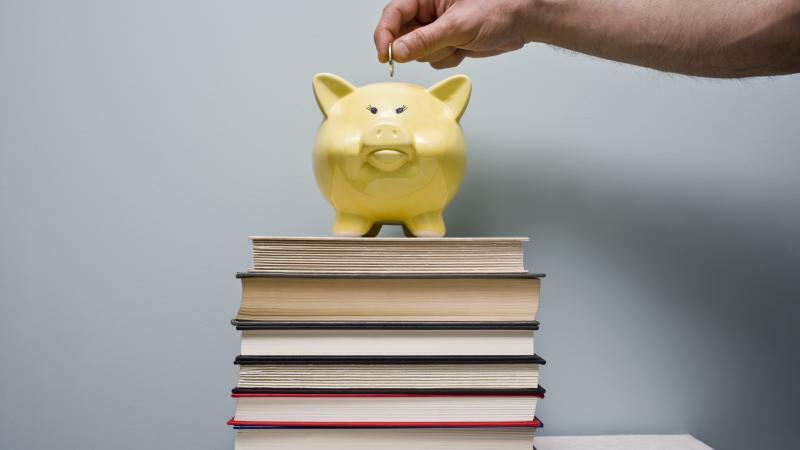 You will save on everything from housing and transportation to books and supplies while you study at a community college. If a four-year degree is your ultimate goal, make sure to discuss this with your community college after admission. They’ll help you select classes that will transfer to the four-year institution you plan to attend, ensuring you don’t have to spend the money to retake classes or earn additional credits. It’s also possible to earn multiple degrees when you take this approach. You can earn an associate degree while at the community college, and then transfer your credits to continue working toward your bachelor’s degree at another school. If you attend a four-year institution, you may not have this option and will earn only one degree. Community colleges are now serving everyone from high school students and recent graduates to working professionals. If you dropped out of high school and want to qualify for jobs that pay more than minimum wage, your local community college is the best place to go. If your career has stalled or you’re ready to change to a new field, expanding your skill set at a local college is the fastest and most affordable way to move up. Take the first step today by identifying the closest community college to your home. Explore their website to see what programs are offered. You can also call to schedule an appointment with an admissions counselor. If you know what you want to achieve in your professional life, you can determine the most appropriate program or classes and the expected cost. Financial assistance is also available at most community colleges, so don’t assume the sticker price is what you must pay. You can also use community college programs to learn skills that open doors of opportunity in your personal life. Investing in higher education for hobbies or fields of general interest can influence your career and overall satisfaction of life. You never know what the future may hold when there’s a community college within reach. If you’re interested in attending community college, start a search today.